There's no need to stay up late on California's election night. Because we won't know the winners of close races for days, if not weeks. I'm wondering if I can get to Uruguay and back before anyone knows the verdict on Prop 30. Gov. Jerry Brown's temporary tax measure, aka Prop 30, has a narrow lead but is under 50 percent in recent polls. That result suggests that the contest over whether Prop 30 gets a majority -- and passes -- is likely to be very close. So close that we may not know whether Prop 30 has won for several days -- maybe weeks -- after election night. This is true for more than Prop 30. Close contests in California are likely to produce very long waits for a final result. Why? Because we've changed the way we vote. 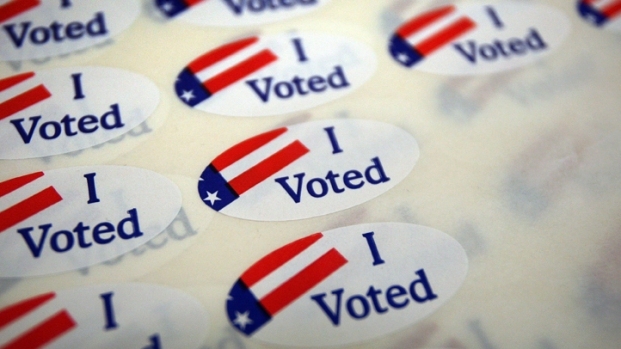 Most Californians don't vote at polling places anymore. They vote by mail. Indeed, a majority of Californians vote by mail. And counting mail ballots is a much slower process than counting votes cast in polling places. The reason: poll workers automatically verify your vote and identity when you vote in a polling place. But a mail ballot requires more scrutiny, with a check of whether the signature on the mailed-in ballot matches the signature on file with voter registration. And more mail ballots come in later, which extends the count and verification time. As Kim Alexander of the California Voter Foundation put it in this Associated Press story, "We've given people more avenues to vote, but to ensure there's no fraud and error, we have to take more time to verify the ballots. We've traded speed for convenience." Your blogger, who voted by mail because he'll be on the road reporting on Election Day, had worried that a post-election trip to an international direct democracy conference in Uruguay would be a problem, since I'd be out of California for the 11 days or so after the election. Now I think my timing might be perfect, since it could easily take that long to figure out who's won Prop 30 and other close contests.